Fenugreek is native to southeastern Europe, northern Africa, and western Asia. Fenugreek is an herbaceous annual plant in the family fabaceae grown for its leaves and seeds which are used as an herb or spice. Extracts of fenugreek are used in some cosmetic products as well. Fenugreek leaves can be used fresh or dried as a culinary herb. The seeds are used as a spice or flavoring. They are available whole and dried, or as a dull yellow powder, ground from the roasted seeds. Fenugreek seeds have a somewhat bitter taste, similar to celery, maple syrup or burnt sugar, and are often used to make medicine. However, fenugreek has a far more pleasant taste when cooked. Never heard of fenugreek? Don’t worry you’re not alone, but that doesn’t mean you should continue to be in the dark on this medicinal herb. Fenugreek has some amazing health benefits that could change your life for the better. And that’s just the tip of the iceberg when it comes to this important herb. ugreek have led to its use as a spice in foods, beverages, confectionery, tobacco, and imitation maple syrup. In some countries, the seeds are eaten raw or boiled, or the greens are enjoyed in a fresh salad. Uncooked fenugreek seeds have an unpleasant, bitter taste, so the seeds are usually roasted and ground before use to mellow the bitterness. Seed extract is used in imitation vanilla, butterscotch and rum flavorings. 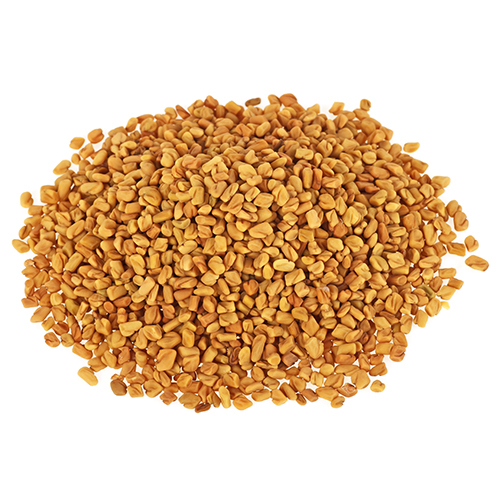 Fenugreek seeds are also used in candy, baked goods, ice cream, chewing gum and soft drinks. The seeds can be roasted and used as a coffee substitute. Fenugreek is a sun-loving plant which is usually grown as a cool season crop. Fenugreek is moderately drought resistant and can be grown in areas with low amounts of rainfall. Fenugreek grown for seed is ready to harvest within 3 to 5 months after planting. The plants are harvested by uprooting and are then hung up to dry to allow seeds to be collected. In India, where the plant is grown as a vegetable crop, young shoots and leaves are harvested earlier and the plant is allowed to regrow before harvesting again.